The Basal Antral Follicle Count test is a transvaginal ultrasound study that measures a woman’s ovarian reserve, or her remaining egg supply. The ovarian reserve reflects her fertility potential. Unlike men, who produce sperm on an ongoing basis, females are born with a lifetime supply of eggs in their ovaries. When a girl reaches puberty, her eggs are released on a monthly basis; by the time a woman reaches menopause, her egg supply (and potential fertility) is exhausted. An antral (resting) follicle is a small, fluid-filled sac that contains an immature egg. The follicles can be seen, measured and counted on Cycle Days 2, 3, and 5 by using ultrasound. The number of antral follicles varies from month to month. The Basal Antral Follicle Count, along with the woman’s age and Cycle Day 3 hormone levels, are used as indicators for estimating ovarian reserve and the woman’s chances for pregnancy with in vitro fertilization. In other words, the antral follicles are a good predictor of the number of mature (dominant) follicles in a woman’s ovaries that can be stimulated by medications leading up to IVF. The number of eggs retrieved correlates directly with IVF success rates. When an average to high number of antral follicles (eight or more) are visible on the ultrasound, fertility specialists expect to be able to retrieve a good number of eggs and the pregnancy rates are higher than average. If few antral follicles appear, a poorer response is expected and the IVF cycle could be cancelled to try for better results the following month. 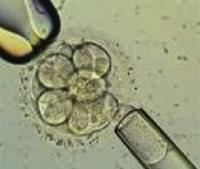 Contact us for more information on the Basal Antral Follicle Count and fertility testing in general.